All over the world, many towns big and small celebrate a Christmas festival, with roots in the Christian faith, but typically with a broader appeal that features Santa, Christmas trees, or twinkling lights. Christmas festivals in America can be terrific fun for families, with tree-lightings, candlelight processionals, Santa arrivals, and sometimes even fireworks. Looking for old-fashioned Christmas celebrations outside the major cities? These small towns in America celebrate the holidays in a big way. Natchitoches is a small town near Shreveport, in northwest Louisiana; it is the original French colony in Louisiana (which dates to 1714). Started back in 1927, the town's Christmas Festival is one of the oldest holiday celebrations in the country. Visitors can catch the colorful parade, a food market, an arts and crafts fair, live entertainment, riverfront fireworks, and more than 300,000 holiday lights. Kids can enjoy children's activities such as cornhusk doll making, Christmas-themed carnival games, live reindeer, performances by local groups, and treats. The Christmas Festival of Lights runs from mid-November through early January. Woodstock turns into a winter wonderland come Christmastime. 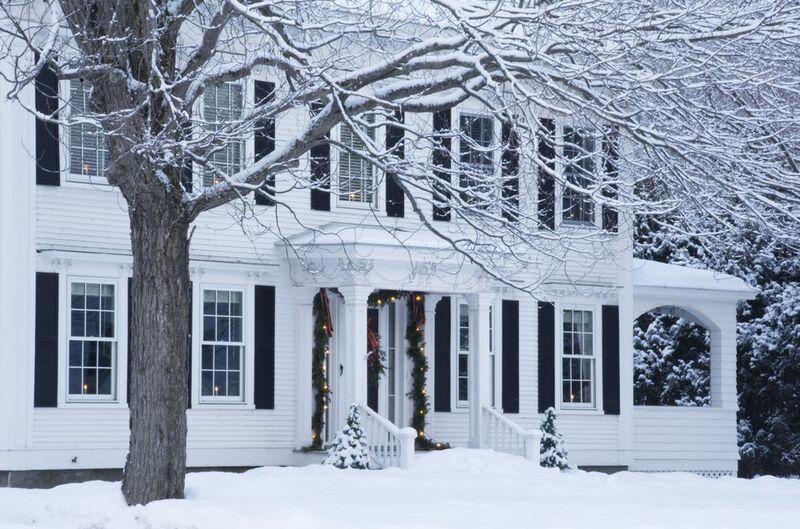 A blanket of snow drapes over this charming Vermont town in the Green Mountains and locals revel in the holiday cheer, especially during Wassail Weekend. This annual medieval-style event centers around an equestrian parade of more than 50 horses around the village green and includes festivities such as a luminary lighting, craft fair, and yule-log fire. The best part? All the historic houses and farms around town are decorated from top to toe with wreaths, garlands, and twinkly lights. Wassail Weekend is usually held the first week of December. This one-day event, held on December 1, features an evening parade, holiday lights, kids activities, food vendors, an arts & crafts market, Santa visits, and live music at an outdoor amphitheater stage. It will be held between 3-8 p.m. at the Felix C. Davis Community Center, and the Christmas Parade kicks off at 5 p.m.
As you would expect, any town with this name has an awesome Christmas celebration. The town itself is a tribute to Saint Nick, with street names including Christmas Boulevard, Candy Cane Lane, and Mistletoe Drive. You'll even find more than 20 statues of Santa around the neighborhoods. Expect Santa Claus parades, all-you-can-eat pancake breakfasts, puppet shows, a festival of lights, gingerbread house decorating, face painting, Christmas woodcarving demonstrations, and the annual Run Run Rudolph 5K. Visitors will also want to stop by Santa's Candy Castle, which opened in 1935, to see real chestnuts roasting on an open fire. This Arizona town celebrates with live entertainment, a visit from Santa, snow play, inflatables, cookie decorating, free hot chocolate, a gingerbread house competition, and other kids’ activities, plus a choral contest and live nativity scene. The heart of the festival is held in Osuna Park, but extends several blocks through the historic district of Peoria. Each December, thousands of people make a pilgrimage to this pretty town, to mark their Christmas mail with not only the Bethlehem postmark but also with special rubber-stamps known as "cachets." Visit during the Bethlehem Christmas Town Festival, and you'll see the candlelight processional and arrival of Santa to light a 75-foot Christmas tree. There's also free face painting, children's crafts, and music entertainment as well as hayrides and food stands. Granted, this isn't a Christmas festival so much as the full six weeks of the holiday season at the Dollywood theme park. But families will surely have fun at Babes in Toyland and other stage Shows, visits with Santa, Carol of the Trees (thousands of lights and pyrotechnics synchronized with music), Parade of Lights, thrill rides, and more. In 2018, the Christmas Festival will debut the Glacier Ridge area, a new winter wonderland filled with sparkling displays and a towering 50-foot video motion Christmas tree.